Payday lenders lack price competition, so customers may be paying too much for their loans, regulators have said. An investigation by the Competition and Markets Authority (CMA) has found that lack of competition could be adding £30 to £60 a year to customers' bills. It has recommended establishing an independent price comparison website and telling lenders to make borrowing costs clearer. A lenders' trade body has welcomed the proposals. "If you need to take out a payday loan because money is tight, you certainly shouldn't have to pay more than is necessary," said Simon Polito, chairman of the CMA payday lending investigation group. The average income of payday lending customers is similar to the overall population, but access to other credit options is often limited, he said. "In some cases, those borrowers paying the extra costs are the ones who can afford it the least," said Mr Polito. Media captionRussell Hamblin Boone, Consumer Finance Association: "Payday lenders offer fair price"
"This can particularly apply to late payment fees, which can be difficult to predict and which many customers don't anticipate." For a typical loan of £260 taken out for just over three weeks, lack of price competition could be adding £5 to £10 to the average cost of the loan. On average, customers take out about six loans per year, so a typical customer could save between £30 and £60 in a more competitive market, the regulator found. "Some customers may be getting a worse deal still, given that the gap between the cheapest and most expensive deals for a month-long £100 loan is more than £30," it added. The role of companies that generate financial leads for payday lenders - sometimes through texts and emails - may also have to be more transparent, the CMA added. "We found that 40% of new online borrowers take out their first loan with a lender via a lead generator, but the way in which these companies earn their money - by selling customer applications to the highest bidder - is often not made clear on their websites and some customers are unaware that these companies are not actually providing the loan," Mr Polito said. The CMA estimates that in 2012 there were some 1.8 million payday loan customers in the UK, taking out approximately 10.2 million loans, worth £2.8bn. These figures represented a 35% to 50% increase on the previous financial year, but this rate of growth may have fallen since. There were at least 90 payday lenders offering loans to UK customers as of October 2013 but the three largest lenders - CashEuroNet, Dollar and Wonga - account for about 70% of total revenue generated from payday lending in the UK. The authority said that customers, most of whom found deals online, focused on the speed and the availability of a loan rather than its cost, so there was little incentive to compete on price. The competition authority opened its investigation into payday lenders last summer after Office of Fair Trading (OFT) concerns about "deep-rooted problems with the way competition works" in the industry. 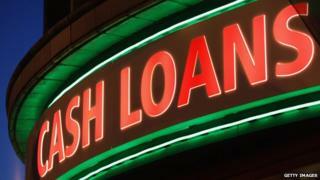 The OFT said that customers found it difficult to identify or compare the full cost of payday loans. Consumer group Which? said this investigation did not get to the heart of the issue about the affordability of payday loans. "Forcing lenders to be clear and upfront about costs would help consumers to compare the price of different loans. But this is not sufficient to clean up the payday market and stop the spiral of debt into which so many people fall," said Richard Lloyd, Which? chief executive. However, the Consumer Finance Association (CFA), which represents some payday lenders, said the report was an "authoritative and accurate analysis". "It clearly shows that short-term loans are a vital financial lifeline for many people," said Russell Hamblin-Boone, CFA chief executive. "The CMA's proposed remedies combine well with the regulatory measures that lenders are putting in place as they protect choice, promote competition and make it tougher for rogue lenders and lead generators to exploit." However. with the industry facing a number of inquiries, the CFA said there was a danger of over-regulation. The regulator, the Financial Conduct Authority (FCA), has proposed a series of measures to clamp down on the industry, including limiting loan roll-overs to just two, rather than the industry guide of three. The FCA also proposed restrictions on the use of continuous payment authorities (CPAs), which allow lenders to take payments from accounts. A crackdown on the industry by the FCA, including tighter inspection, has led a number of businesses to leave the market. They include the UK's second-biggest High Street payday lender, Cheque Centre, which withdrew after being accused by the FCA of poor practice in the way it treated customers in debt. The government is also planning a new law to cap the cost of payday loans, with the regulator having been commissioned to work out the level of the cap. Meanwhile a rap song by music producer Charles Bailey has been released with the Church of England to raise awareness of payday lending. The Church has been promoting the use of credit unions as an alternative.